Dancehall deejay Mr G, also known as Goofy, was on Friday granted $300,000 bail in the Gun Court, following an incident with wannabe entertainer LA Lewis. It is alleged that Mr. G pulled his licensed firearm on Lewis, but according to Mr. G’s lawyers it was in self-defence as LA Lewis, a trained dispute resolution mediator, allegedly attacked their client with a machete. Mr. G, whose real name in Chad Simpson, was ordered to surrender his travel documents and will return to court on November 27. Simpson, who is represented by attorneys Tom Tavares-Finson and Chris Tavares-Finson, turned himself into the police on October 27, a day after his run-in with Lewis. Mr. G was charged with illegal possession of a firearm and robbery with aggravation. On Friday, the court was told Lewis, who is a jack of all trades in the entertainment fraternity, was given $10,000 by Mr G to distribute posters for a dance. Lewis reportedly failed to carry out his duties and was asked by Mr G to return the money. 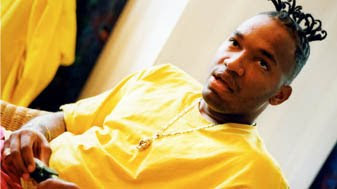 It’s further alleged that Lewis returned $7,000 but refused to hand over the rest, which caused an altercation., during which LA Lewis reportedly attacked Mr. G with a machete. Mr G, in turn reportedly pulled his licensed firearm. Reports are that LA Lewis’ cell phone was confiscated as compensation for the balance of the money. Lewis, its is further alleged, was relieved of his cell phone in return for the outstanding money.